Clearance(mm): 28 Horz. x 25 Vert. 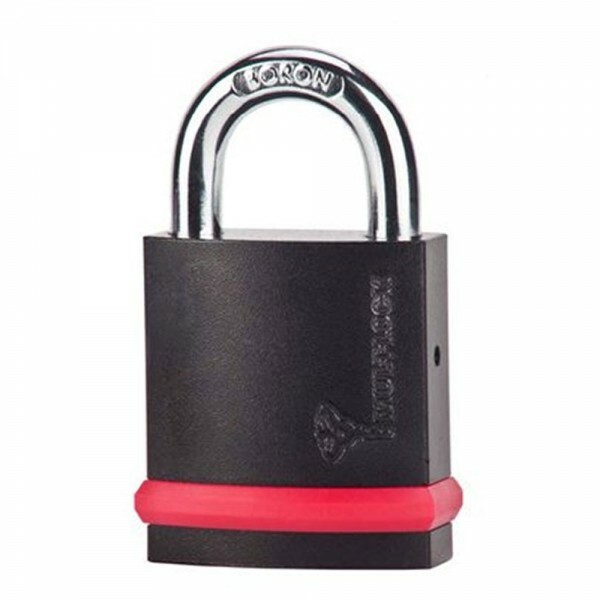 High Security padlock, for general use. The shackle is locked by a double ball bearing mechanism. Rotate key 60° to unlock. Body: case hardened steel. Shackle: hardened boron alloy steel. Key retaining. Drilling protection. Protective shutter prevents dust contamination. Drainage holes prevent freezing. Black electrophoretic. Mul-T-Lock's unique high precision pin tumbler system results in a pick and drill resistant for High Security needs. Reversible nickel silver key with plastic key head and colored insert for identification.